Vigil volunteers provide a supportive presence during a patient’s final hours. They offer a beautiful final gift of peace and solace to those they serve. Vigil volunteers must first serve as patient/family support volunteers and complete advanced training. Bereavement volunteers make telephone calls to check-in with those who have recently experienced a loss and reassure them that Samaritan is still there for them if they need us. The reception greeter will welcome family members and visitors to the Center. Includes answering phones. 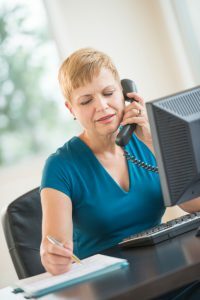 Administrative volunteers help in our main office in Marlton with typing, filing, collating, data entry, and many other critical administrative tasks. Their behind-the-scenes labors of love help Samaritan’s many programs and patient/family services to operate efficiently. Samaritan holds 60-minute volunteer orientations on the 1st Wednesday of every month to provide an overview of the hospice philosophy and detailed information about volunteer opportunities at Samaritan. Registration required. Veterans often appreciate contact with another vet – someone who personally experienced the culture of military service – even if they served during a different time of place. We provide complete training so that you will feel comfortable and ready to take on this rewarding community service to your fellow vets. 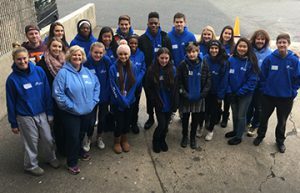 If you’re under 18 and are looking for ways to volunteer at Samaritan Hospice, SamariTeens is a group of 14-17 year olds providing on-going support to Samaritan’s patients and families through visits, projects, and participation in annual events. Pet Therapy Volunteers are volunteers that provide direct support to our patients with the use of their already-certified therapy dog. Thrift Store Volunteers assist with duties normally performed in a retail setting such as greeting customers, setting up merchandise displays, completing sales transactions, sorting donations, and maintaining store cleanliness and an inviting environment. Music Performers share the gift of music with patients and their friends living in nursing homes and assisted living facilities through performance and musical interaction. African Global Partnership Committee: This group helps Samaritan engage and educate the community about our sister hospice, Kawempe Home Care, in Uganda. The group helps cultivate events and sell Beads for Education – all proceeds go to Kawempe Home Care. Corporate Giving: This group of area business leaders helps Samaritan engage and educate the corporate community, sharing valuable information for their employees and customers, and enlisting their support. Gala: Samaritan’s annual gala is presented by Holman Automotive. From theme and invitation, to honoree, auction, and raffle; our dynamic committee hosts one South Jersey’s premiere events. Golf: Each June, Samaritan hosts our annual golf outing, presented by the Richardson Family of Dealerships. In addition to a great round of golf, fellowship, and refreshment; the event features an online auction, a dress loud contest, and a visit from the Philly Phanatic. Our committee has a great deal of fun planning and hosting the tournament, as well as securing auction items and sponsorships. 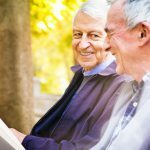 Jewish Hospice: This group of area Jewish leaders helps Samaritan engage and educate the Catholic community about hospice care, palliative care, and the importance of end-of-life planning. 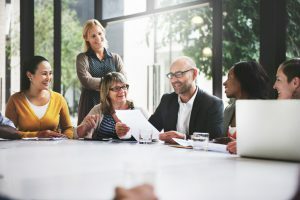 Planned Giving: These leading financial experts lend their time and knowledge to guide Samaritan’s charitable estate planning efforts; providing education – in the form of articles and seminars – and raising awareness among their colleagues and the community. Via Lucis: This group of local Catholic leaders helps Samaritan engage and educate the Catholic community. Each year the committee plans and hosts Now and at the Hour of Our Death, an educational workshop from the Catholic perspective.